When you’ve been walking a lot for consecutive days, sneakers tend to call out to you. These are actually the same pair of sneakers I wore on my “Flying Without Wings” post, except here, I took the wings out. 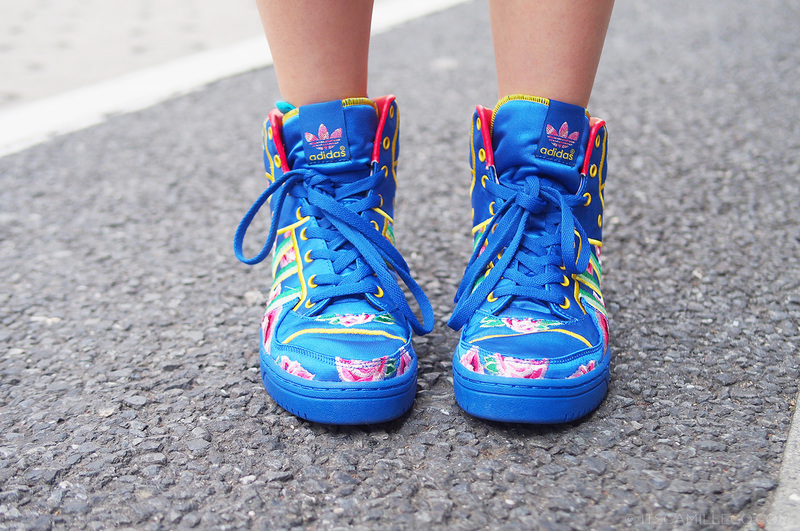 I bought them just a day before these photos were taken at the Adidas store in Shibuya. My feet were already so sore from all the walking so I just had to use them right away. Nothing beats a good pair of sneakers! So what’s the theme of my outfit? 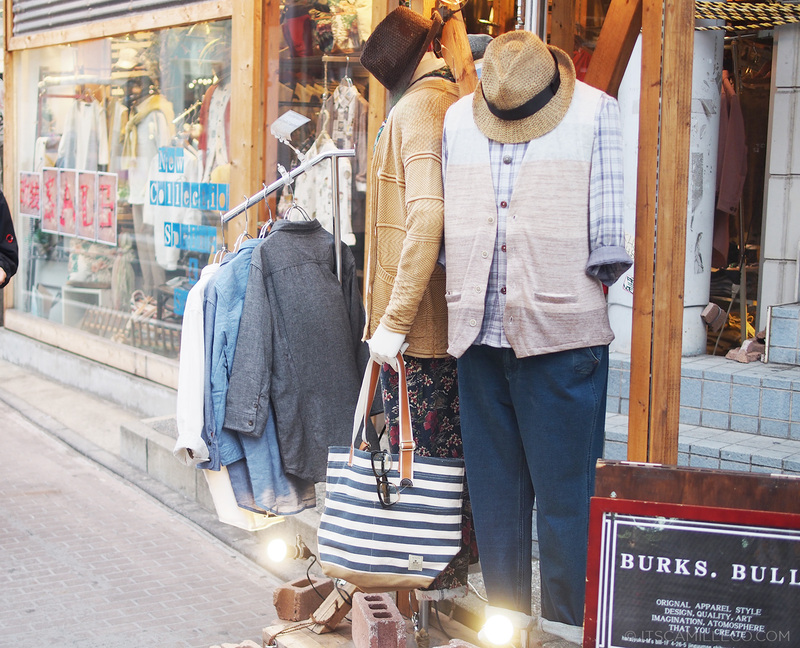 Cool and casual–just the perfect get-up for a day of shopping around Tokyo. My mom, sister and I are quite the shopaholics so we’ve allotted time for shopping everyday. This day though, this day was special. We had nothing else on our itinerary but SHOPPING. Woot! You know what that means, right? I’ve got my battle gear on! Ready to shop ’til I drop! 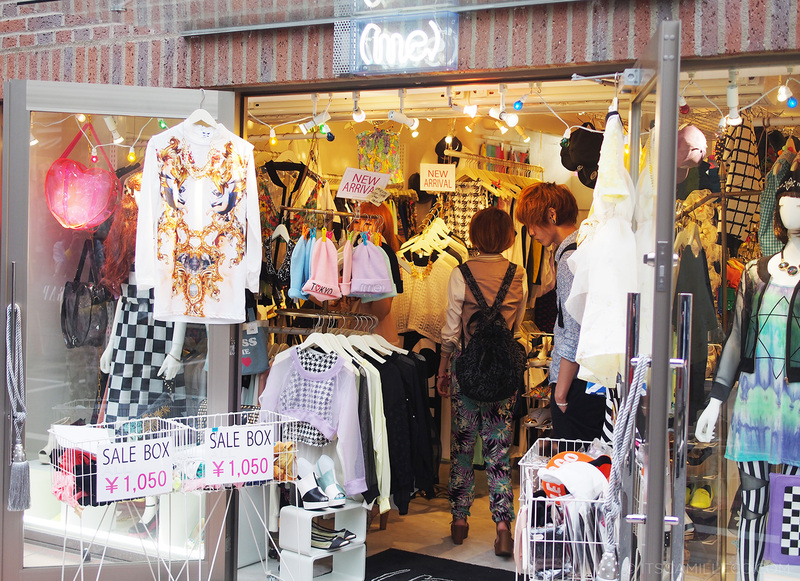 The famous places to shop at while in Tokyo are Harajuku, Shibuya, Shinjuku, Ginza and Omotesando. 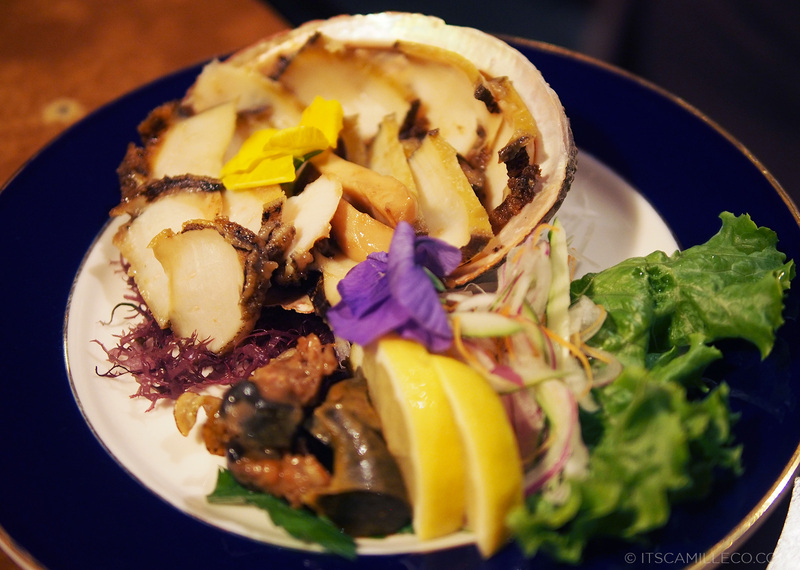 Here’s a photo dump all these places plus a few snapshots of fascinating people I was able to sneakily take photos of during my stay in Tokyo. 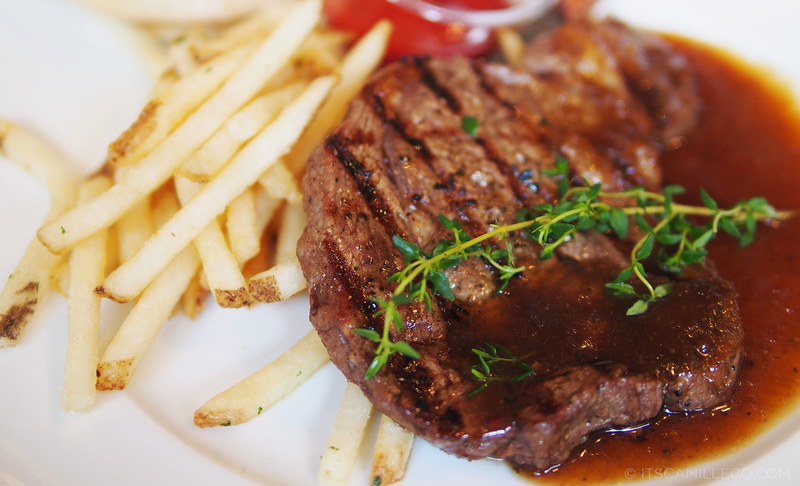 I’ll be injecting a few photos of our food as well just to make you jealous. Har har! This is the statue of Hachiko, a beloved dog in Japan who got famous for his loyalty to his owner. 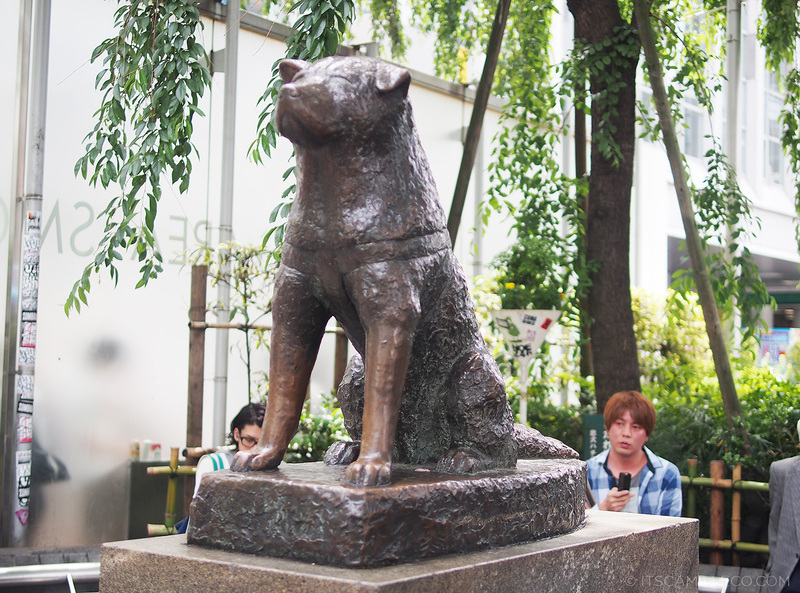 It’s said that everyday, for nine years, Hachiko waited in front of the Shibuya station for his owner to return. Awwww. This guy on the other hand is waiting for someone else. LOL! Such a cool get-up! How cute is this! 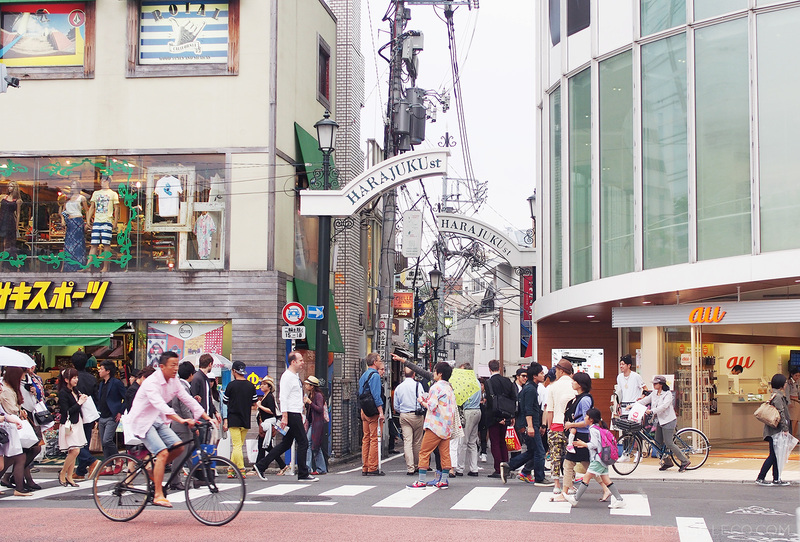 Takeshita Street is located near Harajuku. It’s also known as Cat Street. 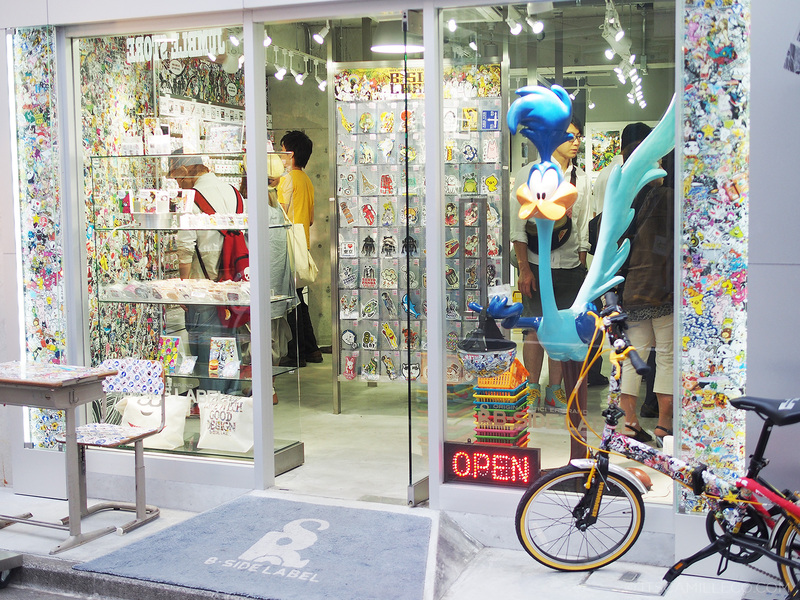 The stuff here are mostly trendy and funky. Think wild prints, bright colors and interesting textures. Wolfgang Puck’s Wolfgang Express is also located here so if you need a little break from all the Japanese food, you can give this restaurant a try. 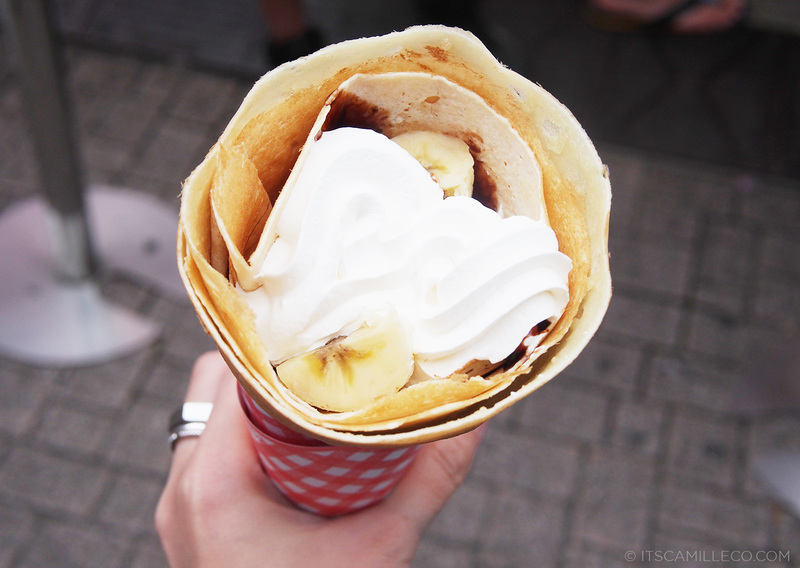 Banana nutella crepe for me please! I told you the stuff here are funky. Now, if this isn’t funky enough for you, I don’t know what is! 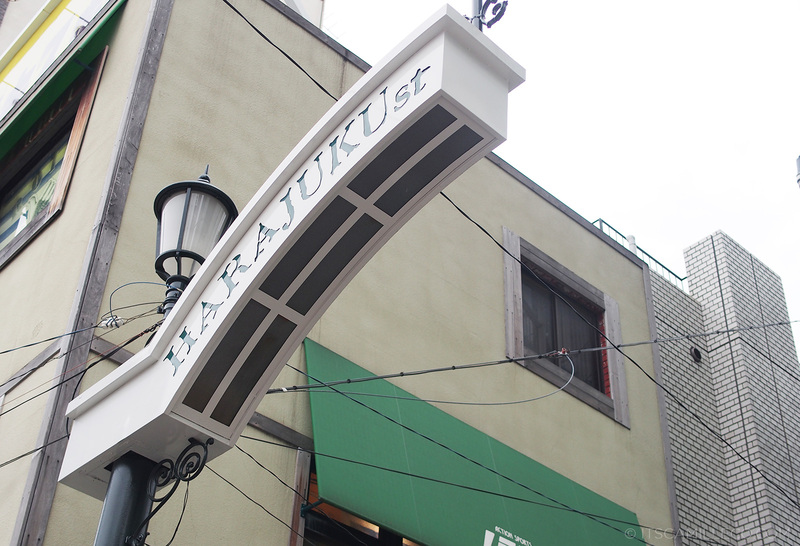 Just a few steps away from Takeshita Dori is Harajuki Street. 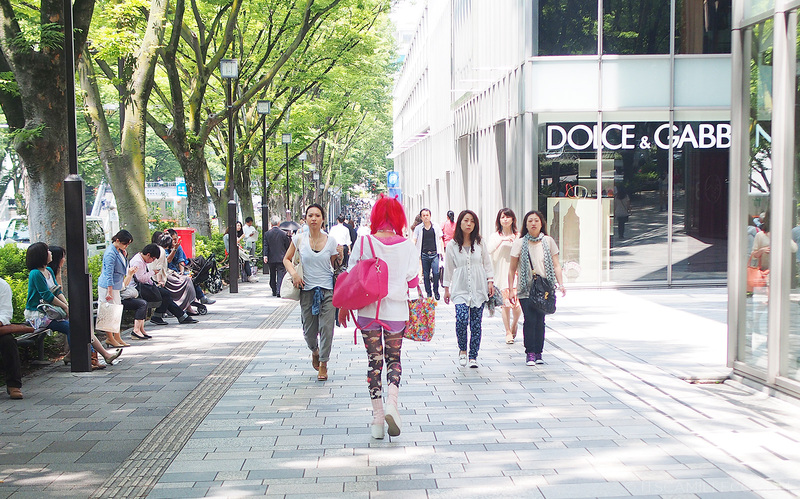 Aside from shopping, this is also a great place to go people watching. Look at her! I love her hair color and the contrast it makes with the flower crown she has on! 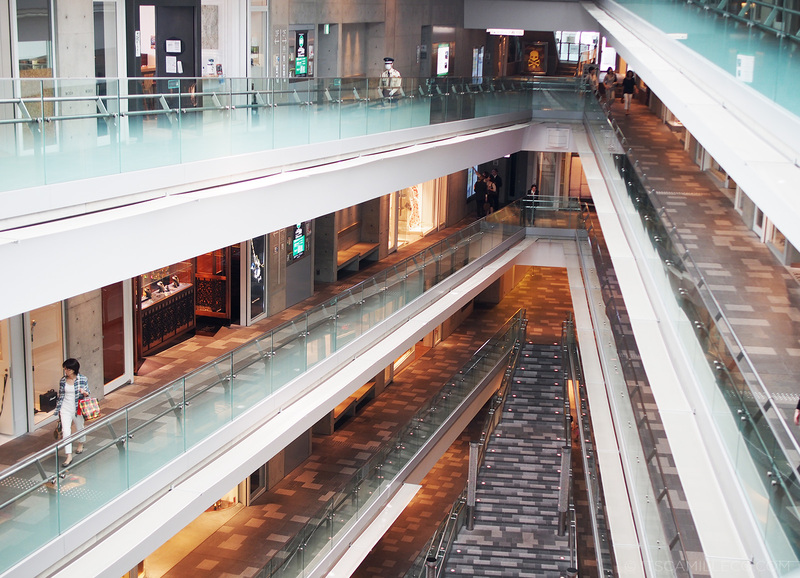 It’s easy to go crazy shopping at these stores! These are definitely much more my cup of tea than the stores over at Takeshita. Something for the men out there. 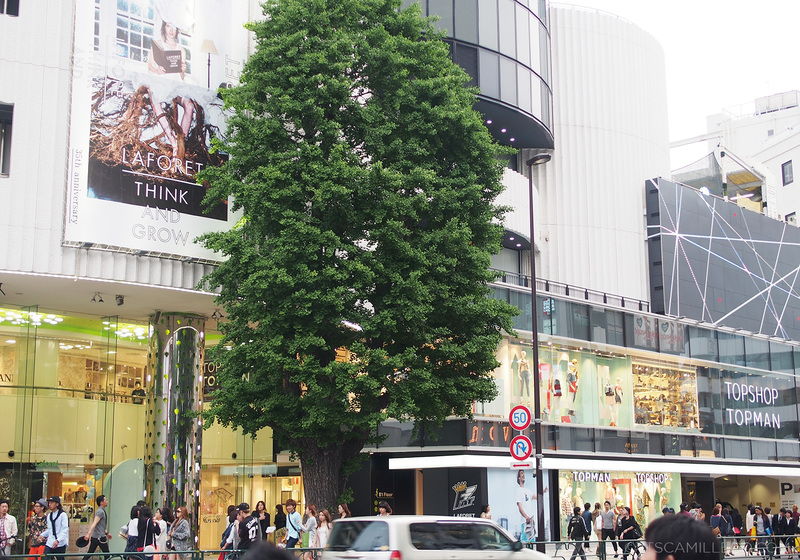 Laforet has a great selection of both foreign and local high-street brands. Young fashionistas would love shopping here! Not too obvious that she loves hot pink, right? I found this mall so cool!! No need for escalators! Although there are escalators on every other floor. 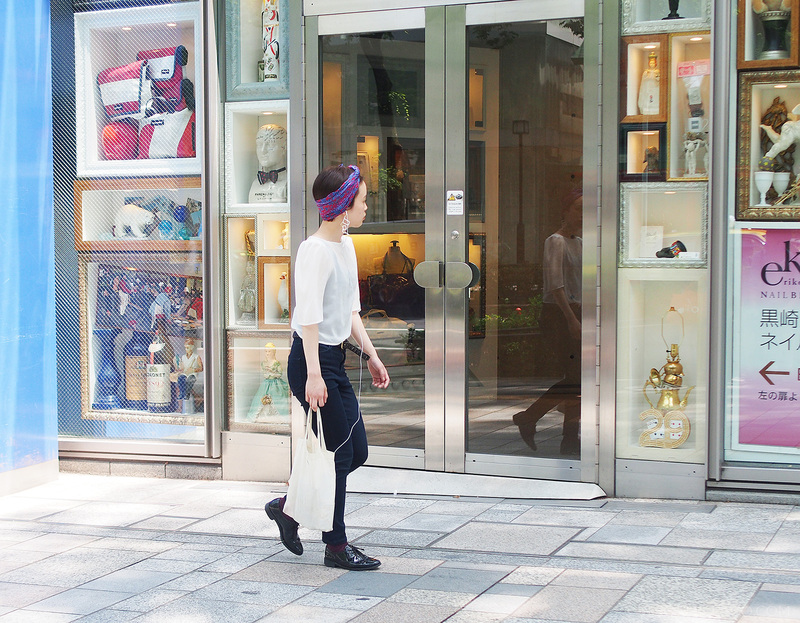 This is Omotesando Hills. 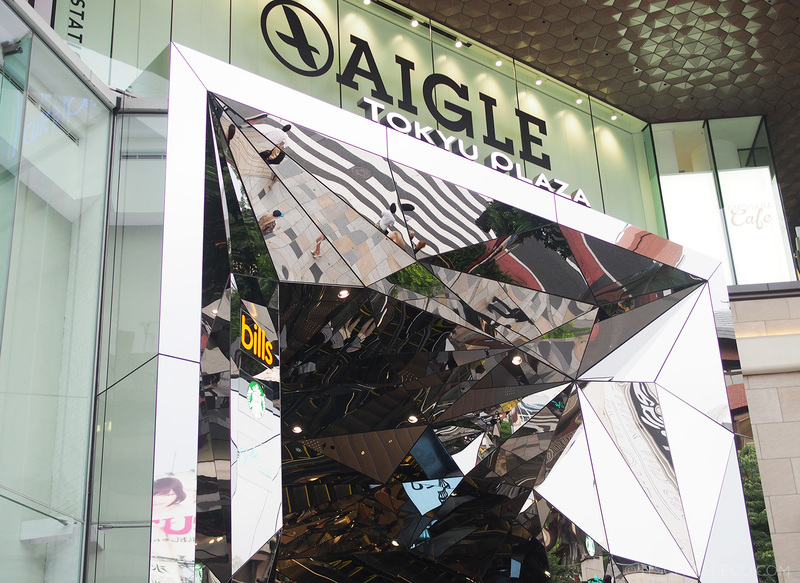 Omotesando and Ginza are the best places to shop at for luxury brands. 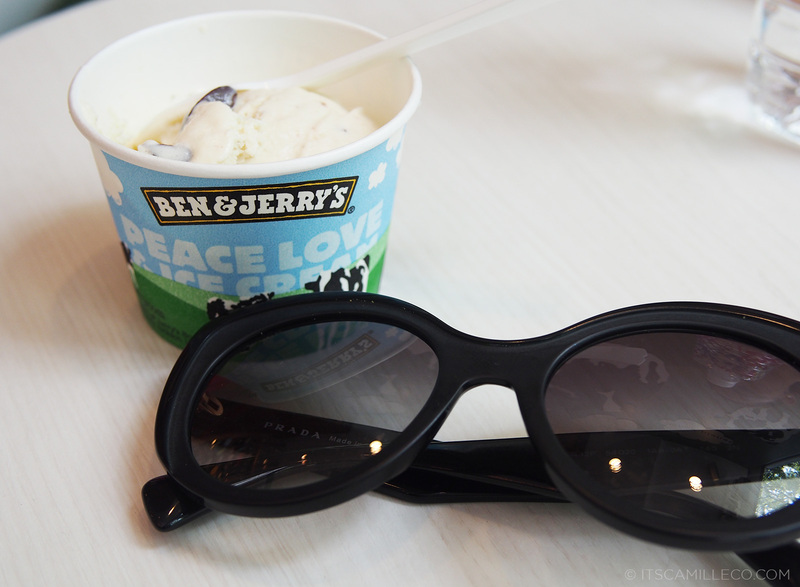 Time for a little Ben & Jerry’s break! 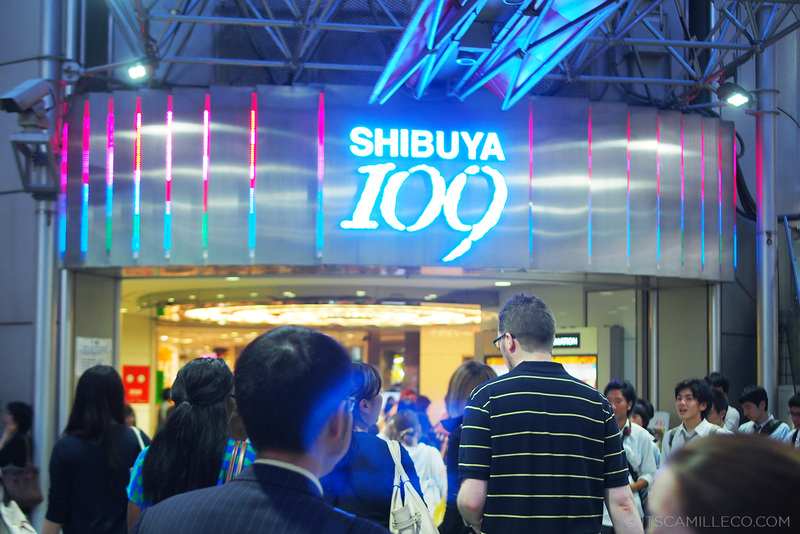 Shibuya 109–the best place to shop at for Japanese high-street brands. Look at their hair! So jealous! 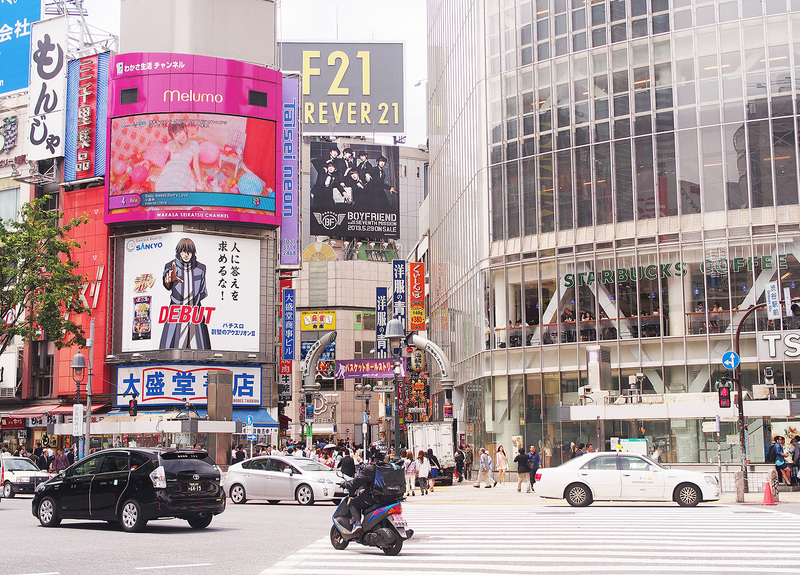 Shinjuku has the best department stores like Mitsukoshi, Takashimaya and Matsuya. They have a nice selection of luxury brands as well. 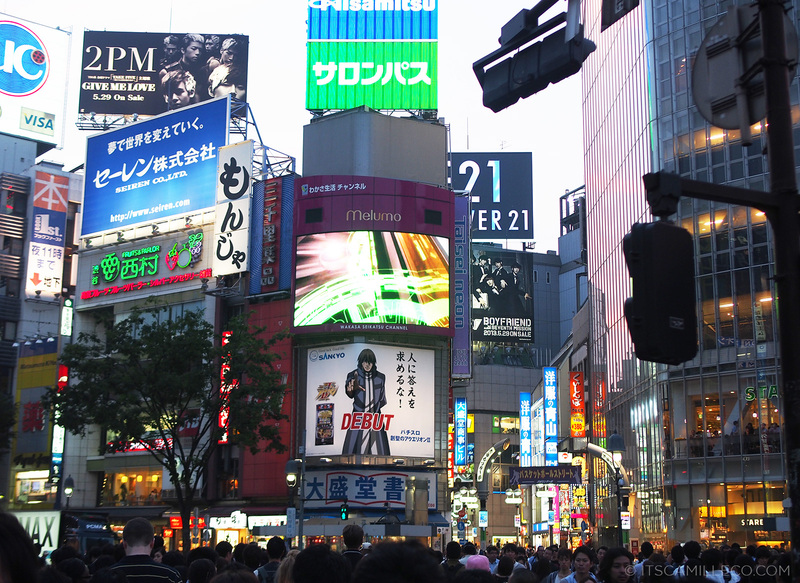 Here’s another photo of the Shibuya crossing. I remember when I first visited Japan years ago, I was so amazed to finally stand in front of this famous landmark. I can’t wait to visit you again! Tokyo, you will be missed. Hi Camille! 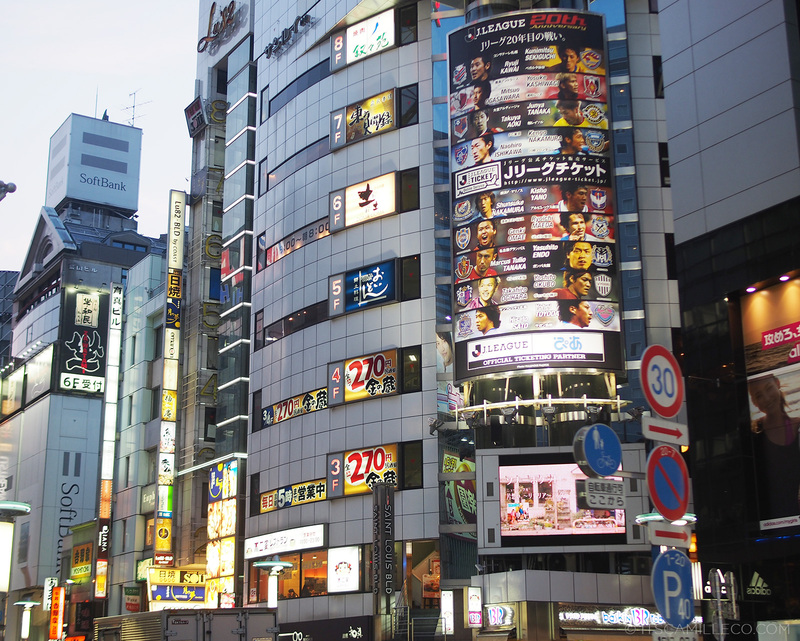 Wow, you’ve got awesome shots of Shibuya! 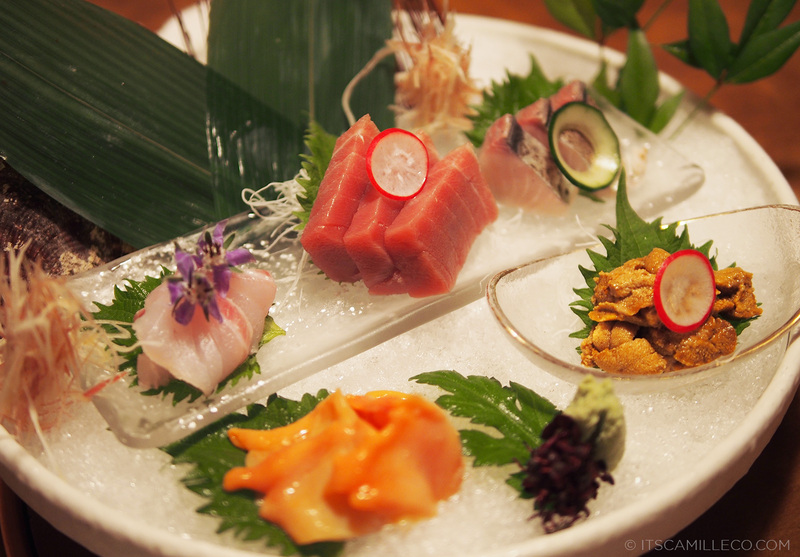 Now, I’m missing Tokyo. 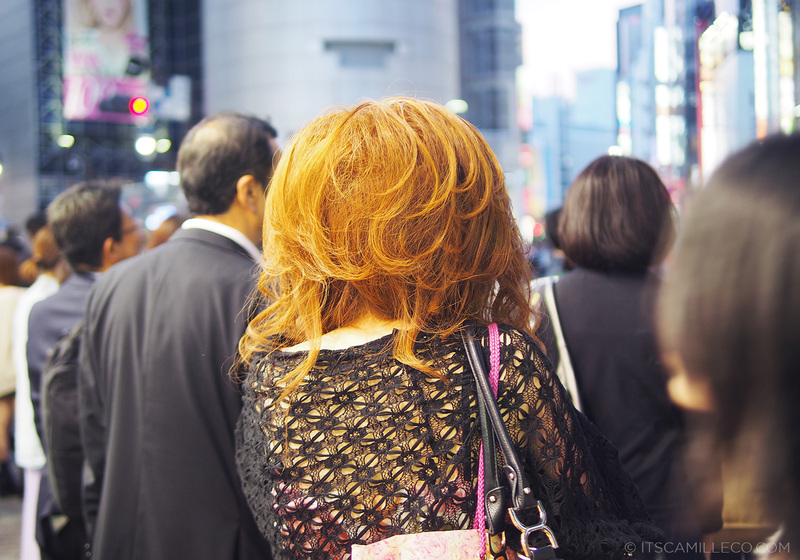 Akihabara is a great place for people watching too! Thank you! I haven’t been to that area but a lot of people do say that! Wouldn’t you mind if I ask what camera are you using? Did you use flash or another lens? :) I love the quality of your photos! Yes haha! 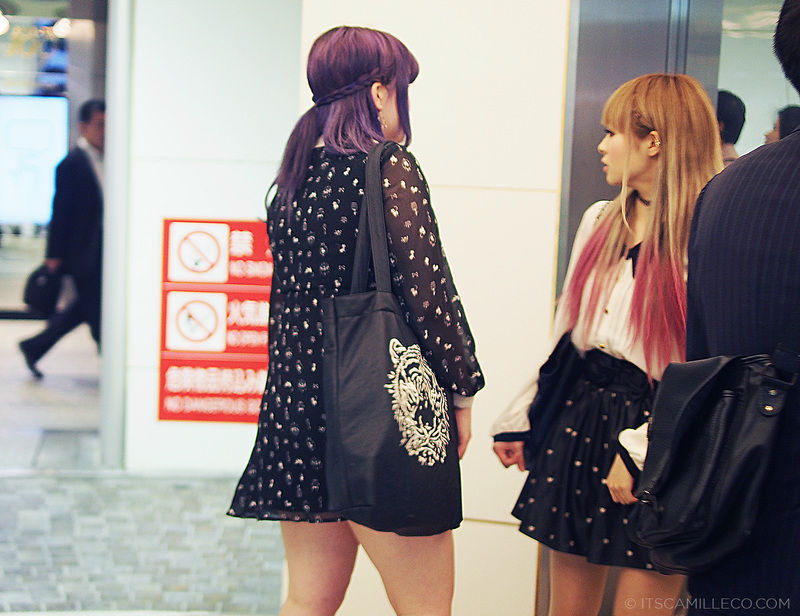 I love their hair colors! :) Thanks Grace! Haha! Galit talaga! :) Thanks Maebs! Ahh Hachi!! You have to watch the film if you haven’t yet! wow. 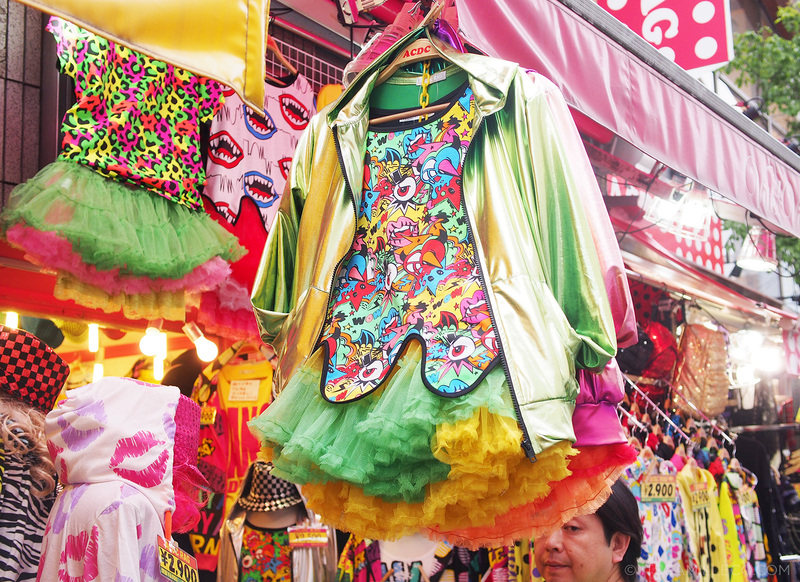 i don’t think anyone can be overdressed in Japan! Black pumps. Girl with power :) Btw, have you watched Hachiko? Its a great film. Hi! 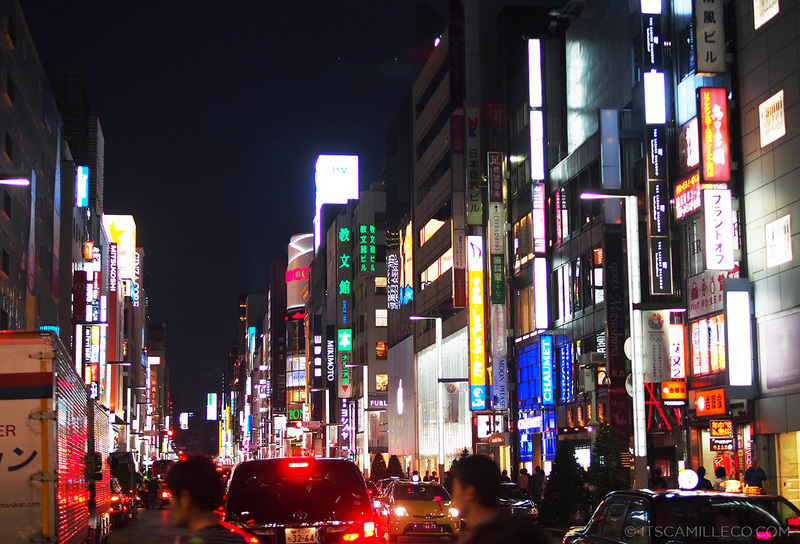 Which place is better in terms of shopping, Tokyo or Hong Kong? Enjoyed the photos! It’s great how your outfit still made you stand out. I love how your shoes are the statement piece of the entire ensemble. I’d also like to give you a high-five for your choice of top! 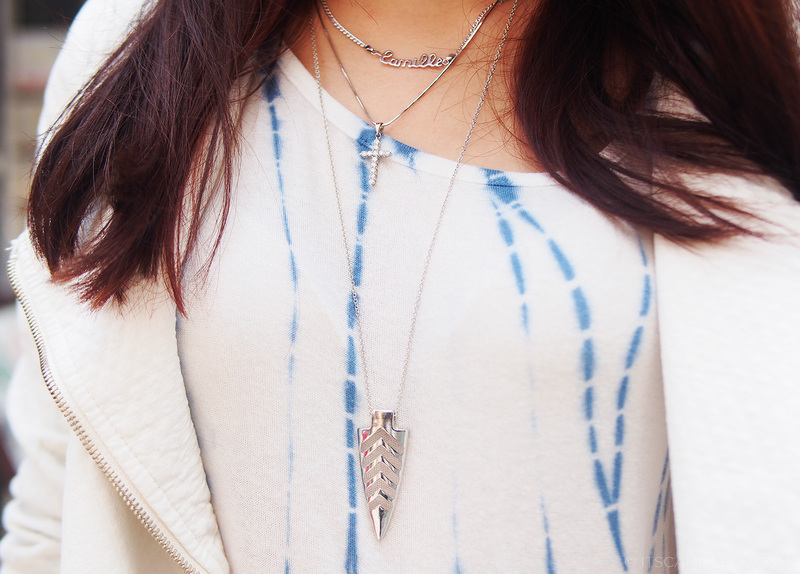 I like the blue streaks- a subtle edge of artsy. High five! :) Thanks Angelic! Its not obvious na you enjoy taking pictures of japanese fashionista. I love the style of the girl with purple head band. Hope someday na mavisit din ang tokyo. Mabibilang pa naman! :) Haha! Wow! 2x a year? That must be so much fun! Thanks for sharing cams,made my weekend, I would love to visit Japan soon. Thanks Sarah! :) Soon!! Go for it! 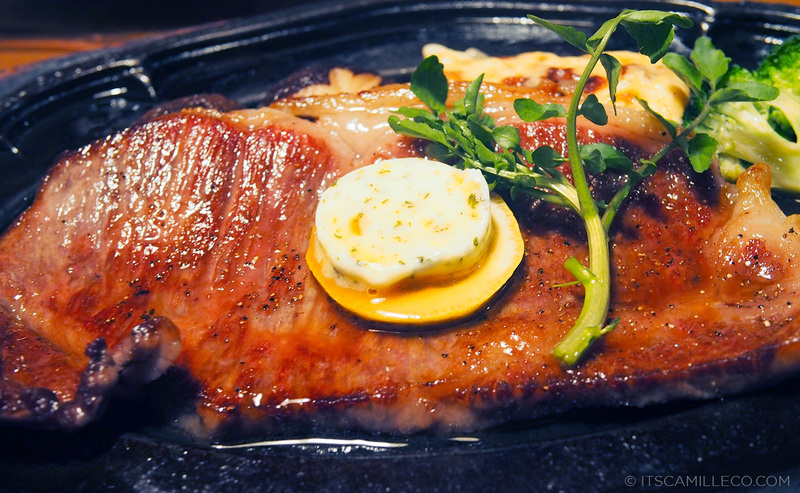 hi im here now at tokyo thanks for the info im going there tomorrow! 1st list on my itenirary! thanks,, and hope to read more blogs from you! Same short as sporty spice post, right? for my math project :D haha! Catch up. catch up! :) Thanks Isabelle! Ohhh I really think about what I wear in advance. I also make sure to bring lightweight clothes so that my luggage won’t get too heavy. 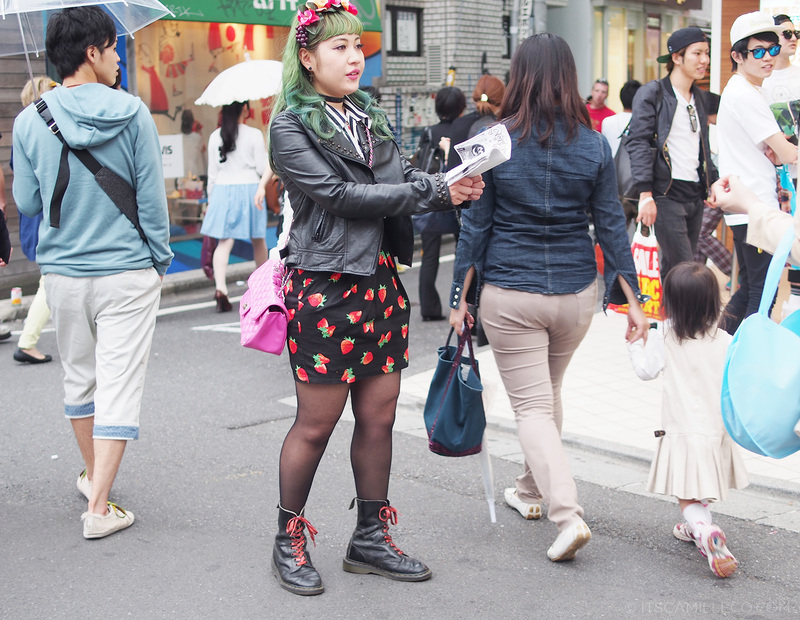 thanks for all photos, Mango girl!…looks fun winding down Tokyo…. Wow!..my eyes were satisfied..jealous :( I love everything in Japan..I hope you could visit S. Korea too for me to feel that I went there din hehe..I love all your pics so kewl! 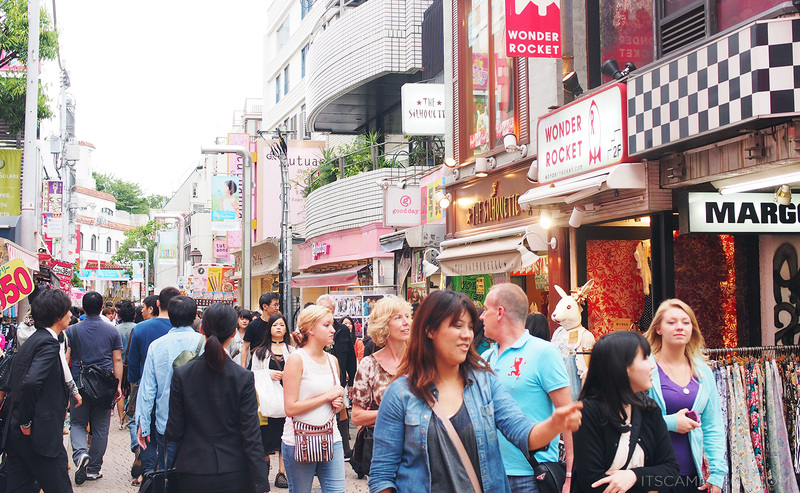 I really want to visit South Korea! :) Soon!! Hi Camille :)) I want to go to Japan too :) Btw, are you here in Manila na? i want to ask if you do ternos (filipiñana dress), the shoulder caps only? I want to have one kasi for our event in school. I just have no idea what to wear and where to buy kasi e :D. And if possible, how much would it cost me if i try to buy/design from you? I heard from my sister who went there that their japanese brand clothes are a bit expensive compared here. Is it true? Wow what a nice trip you had around Tokyo! I’m Indonesian living in Japan and yeah those places are crazily addictive to visit again and again! <3 I love how you combined your outfit as usual, it looked so stunning and energetic at the same time! so love the pictures! i hope i can shop there too! Thanks Vina! You’ll love shopping there! Wow! Those clothes are a feast to the eyes! I’ll make it a goal to visit that place soon! 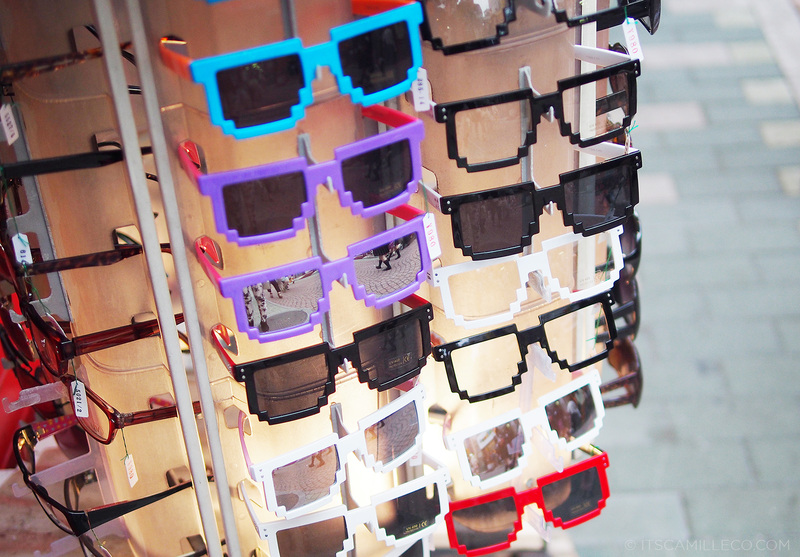 Those pixel-like frames are popular in Korea too! Parang mahihirapan akong pumili ng mga clothes and accessories there kasi ang daming choices! This is one of my favorite outfits from your Japan posts, by the way. :) So chic! I can’t wait to be in Tokyo myself. Thanks for sharing these great pictures! nice place ::) are you in japan now? LOL! You should so taht you can shop to your heart’s content! :) Haha! 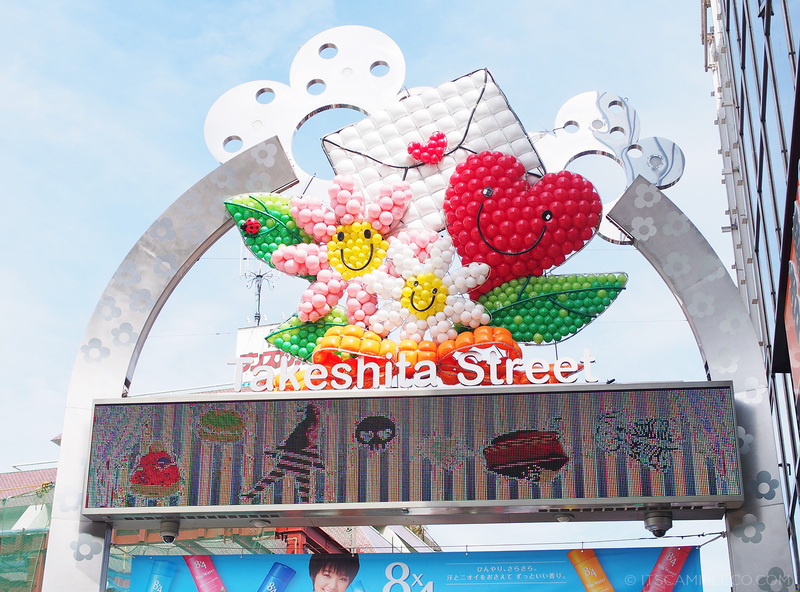 It all looks like a very well planned cultural fashion sight-seeing short trip (^__^). Was it a one day short trip? – Because this is actually on my to-do-list when i am back in Manila next year. 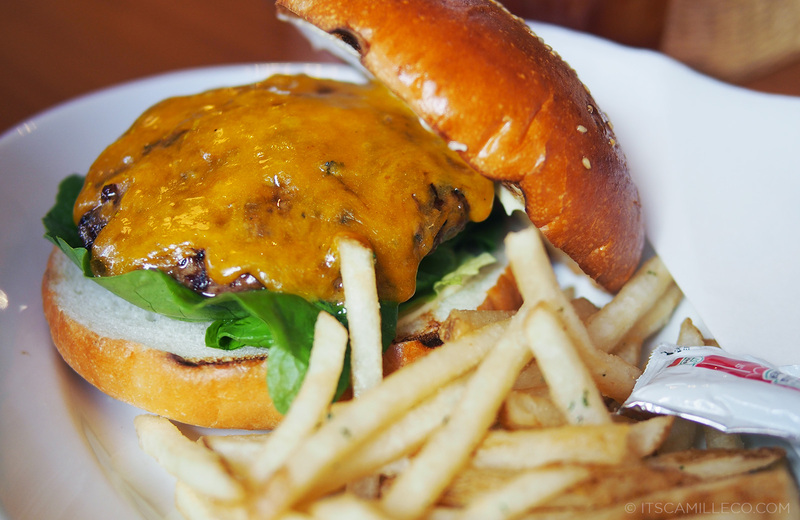 Is Wolfgang Puck's Wolfgang Express a German restaurant? – pretty much sounds like one. I think it's quite funny to visit German restaurants in Asia (and i wonder if they would understand if you talk German to them ^3^). taray nung mga pa-Jak and Jil na stolen shots ha! Kaso puro merlat (“babae” in gay lingo)! haha! Mas bongga yang mga photos mo with your Olympus camera! Mas warm yung colors dito. Dun sa Nikon mo kasi medyo pale eh. Have you been to Dubai? Japan and Dubai yung mga Asian Countries na gusto kong mapuntahan! Sooo bongga lang ng skyscrapers sa Dubai eh. Are you planning a trip there any time soon? BTW saw na your outfit! Can’t wait to see it in different angles! Fashion travels with Camille Co. :) I love it! Thanks Pobi! :) It does! LOL! Another gorgeous outfit Ms.Camille! I’ve noticed that you’re not wearing a cap here. Haha, and you’re wearing again those cool adidas kicks! Thumbs up! :) I’ll hype it. 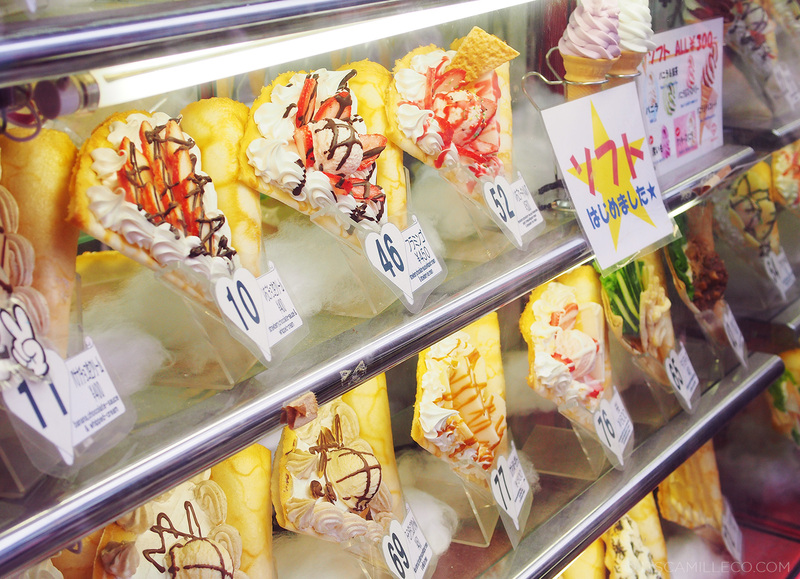 I so want to go to Japan and experience all of this! The people there are so fascinating! :D I love those funny sunglasses and the grandeur there. I was moved when I saw Hachiko’s statue!! I would always cry whenever I watch the movie!! :( Hehe. the city and its people is just so vibrant! !